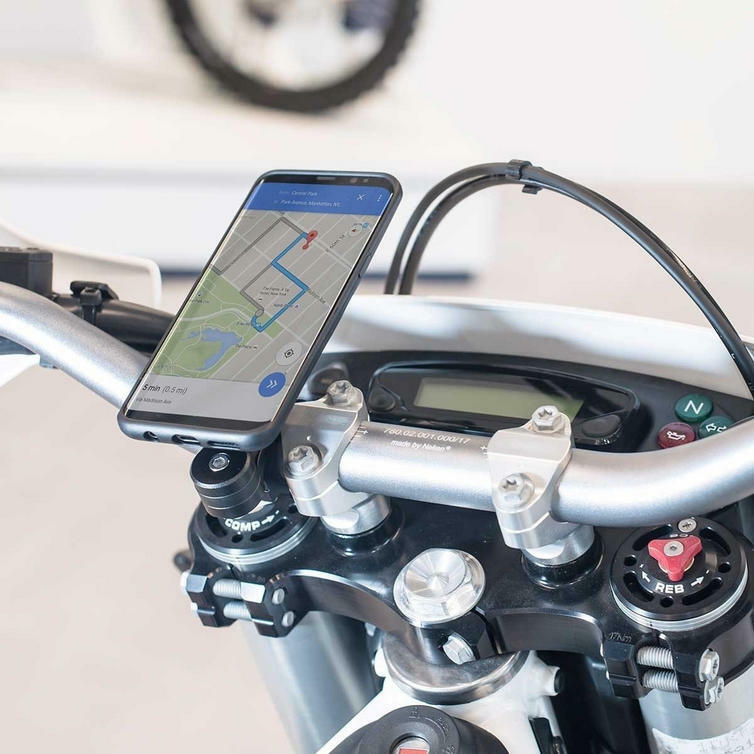 The SP Connect Moto Mount Pro is part of the latest SP Connect collection. 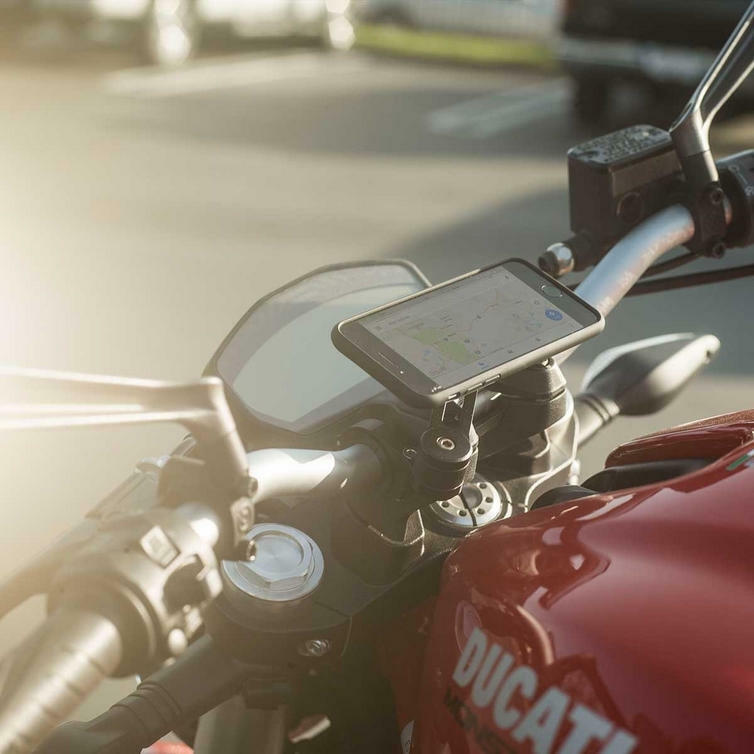 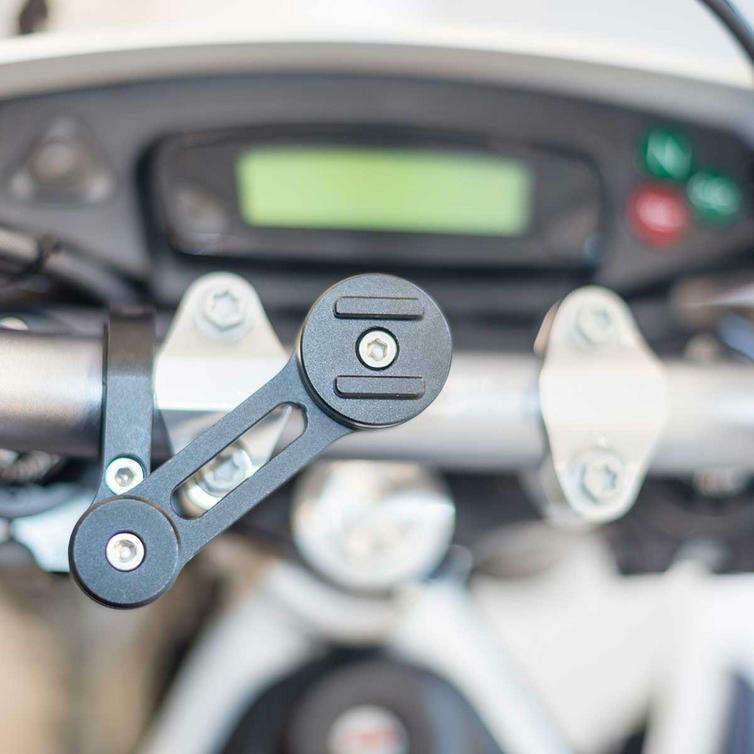 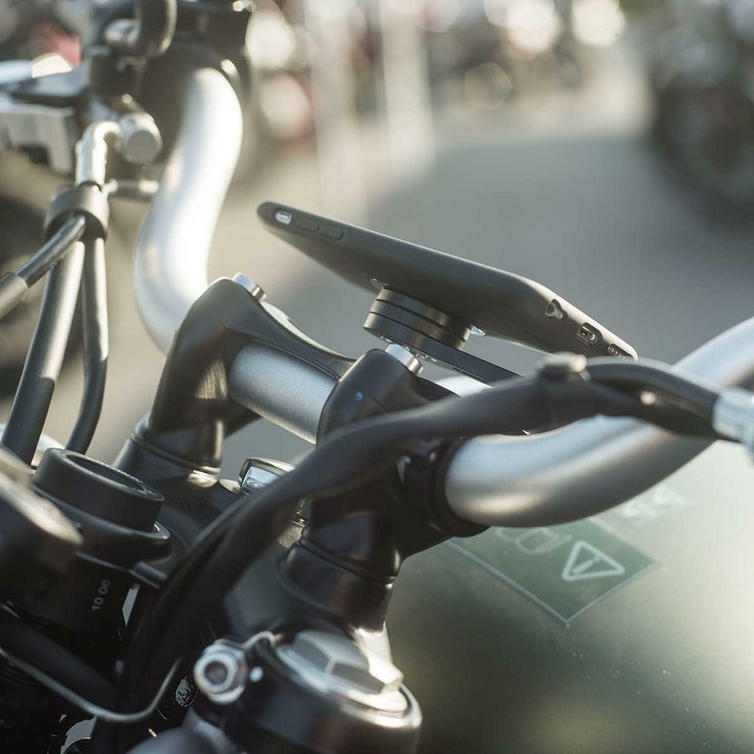 Attach your SP Connect Phone Case, or other SP Connect compatible devices to your motorbike with the MOTO MOUNT PRO. 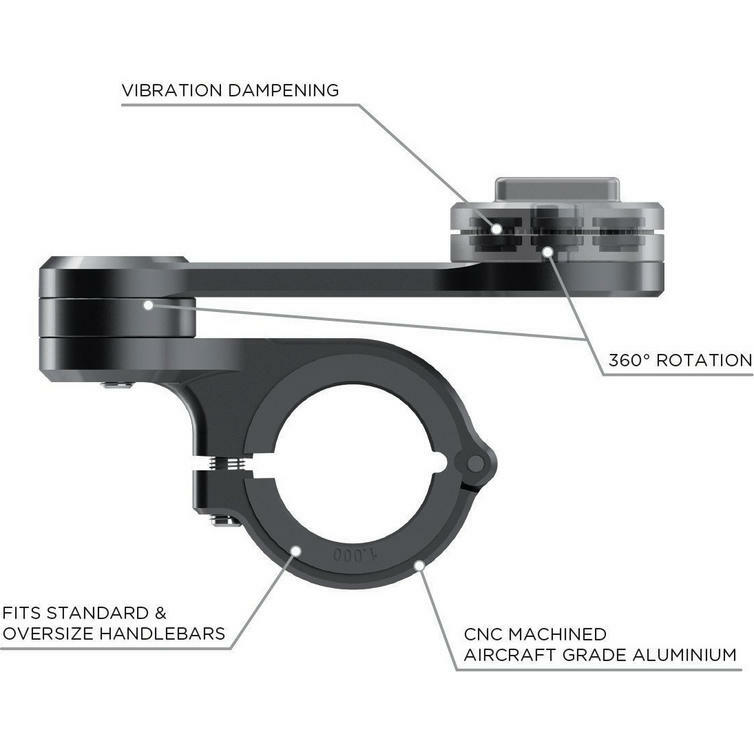 The mount is CNC milled out of aircraft grade Aluminium and fits standard and oversized handlebars. 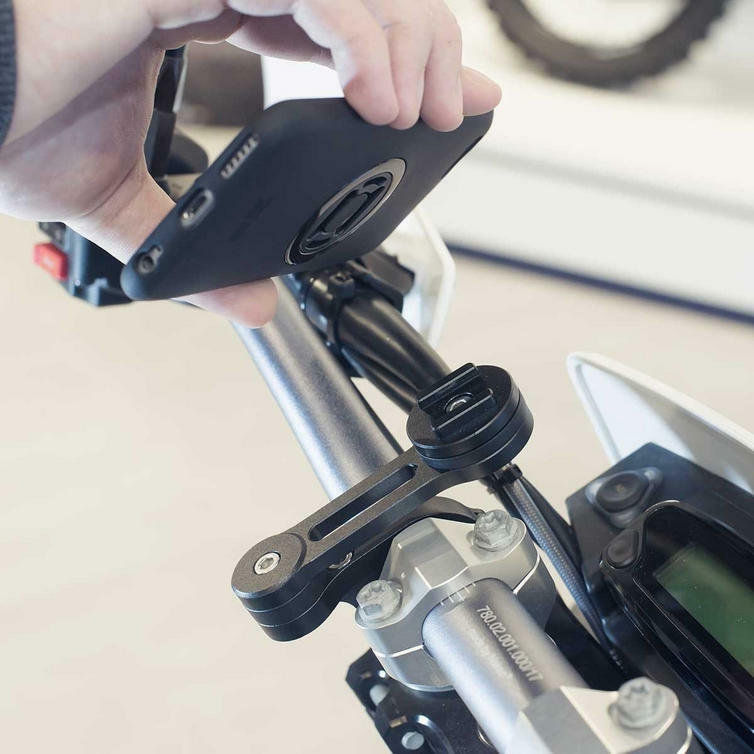 To further protect your smartphone the mount also has a unique vibration dampening system that cuts G-forces by up to 40% (depending on bike & phone model). 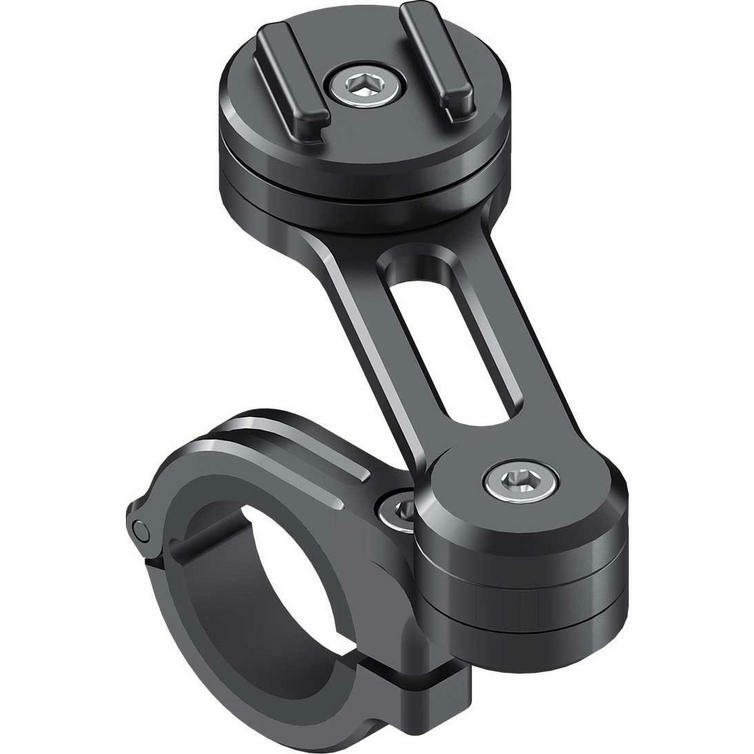 You can mount it with the positioning arm or as a direct clamp mount - both versions allow 360 degrees rotation to find the perfect position for your phone.